ARE WE KEEPING IT SIMPLE? I was on my way to the lesson tee a few weeks ago, and one of the other teaching professionals was giving a lesson to a six-year-old boy. Glancing at the boy’s swing, I would classify him as a beginner. 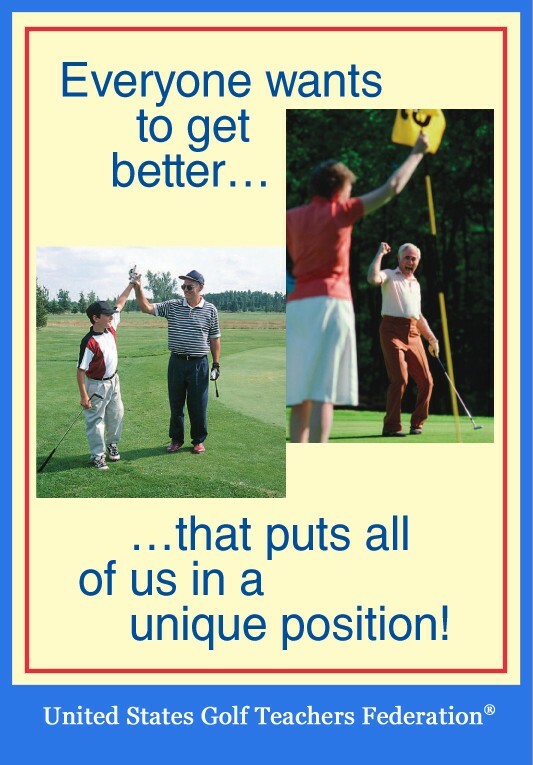 I overheard the pro telling the youngster and his dad that his clubface was too closed at the top of his swing. Walking to my lesson I kept asking myself, “Do I keep things simple for my students . . . especially children?” When teaching children or even beginners, we can often over-complicate things. Many of us speak a language very few understand. Swing plane, clubface angle, forearm rotation and spine angle are everyday terms in our world, but not many students know what they mean or how it applies to them. Most people do not like to ask questions or admit they don’t know what we are talking about. When you ask a student if they understand you, they usually say yes. For me, I like to make sure we are on the same page. I will ask them to demonstrate what they think I am telling them to do. This opens the communication line and also shows me as their teacher whether my style or word choice is being comprehended. Students get excited when they demonstrate a proper drill or idea; they are engaged and their confidence builds. With children, keep is simple. Have kids figure out how to hit the ball high or low, bump a shot through the fringe, and keep it fun. As children develop and understand the game, you can begin to discuss more technical terms with them. Don’t forget: This form of simple communication should also be directed towards the parents. In the beginning, perfect swing mechanics are the least of things with which young players should be concerned. Our job is to help people enjoy the game, not bog it down with terms students they don’t understand. Previous “GOLF IS A GAME OF HERITAGE AND TRADITION”…REALLY? Next WILL THIS YEAR’S US OPEN TELL US ANYTHING ABOUT MODERN GOLF?